The 7 Most Adorable Proposal Videos That'll Make Your Heart Skip A Beat! 1. An in-flight proposal by the pilot... say what??? If you want to propose to your girl in style, do it when you're cruising 35,000 feet. And it only helps if you are the one flying the plane. This pilot proposing to the love of his life through the in-flight announcer is supremely cute. And no, while he was doing it, the safety of the passengers wasn't compromised. Akshay proposed to Juhi in a very unique manner. He took her out for a casual lunch date and there he had a group of girls hold up communication cards outside the window to convey his feelings and propose to Juhi for a lifetime together. 3. Flash mob it, the Bollywood way! This quirky Bollywood-style proposal happened in a land far away, in Boston. Rahim shocked Alysha with a flash mob proposal. 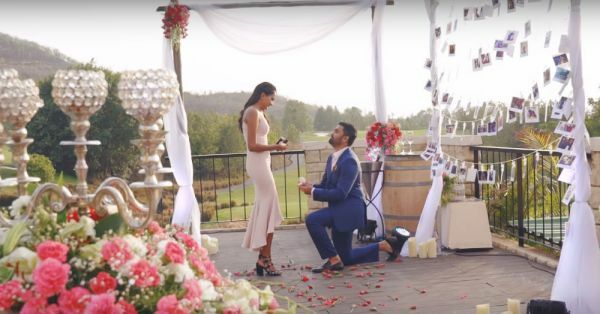 While she was going to an event with her friend, Rahim and his family popped out in broad daylight to pop the question with a beautiful dance performance. 4. Proposing is a man's job. Says who? Going down on one knee and proposing is a man's job. Really? Says who? 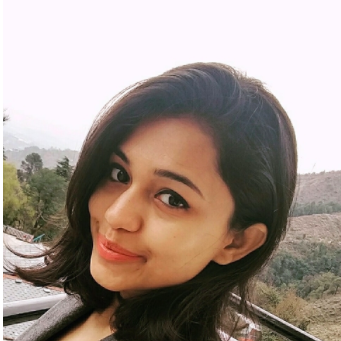 Meet Svetana Kanwar, a popular Jazz dancer based out of Mumbai, who broke the norm and proposed to her pilot boyfriend, Dhruwin for marriage in the cutest way ever. In fact, what's even more interesting is that her mom helped her pick the ring and Svetana's sister and friends helped with the planning. How cool is that? 5. One for the theatre lover! However cliche it may sound, but this proposal at a movie theatre in Dubai is the cutest we have come across. Mohit totally nailed the proposal for his girlfriend Mahek. While in a theatre, he aired a special video for Mahek just before the movie to pop the question. Literally #goals! 6. Take her on a nostalgia ride! 7. Doing it the Coldplay way! Another flash mob proposal, but this time with professional dancers and not family members. All of his family members danced to Coldplay's Sky Full of Stars while Abhishek went down on his knees for Jinal. Right in front of the Bethesda Fountain, with professional flash mob dancers, it couldn't get any more real.